In recent months, dance hits from Romania have dominated pop charts all over the world. Artists like Akcent and Inna paved the way, and Edwin Maya’s Stereo Love has been firmly lodged at the top of iTunes Dance Charts for many months. 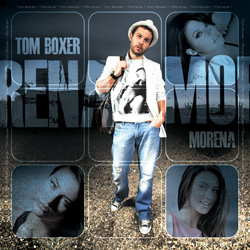 Now Radikal presents Tom Boxer’s hit Morena, created with the help of some of the same writers and producers. A Number 1 hit in Romania, Poland, and Israel, it follows right in Stereo Love’s footsteps. $7.99 includes shipping to US address. $11.99 includes shipping to a non-US address.